When the design and humanitarian aid communities work together, the result is beautiful, Randy Fiser told attendees. 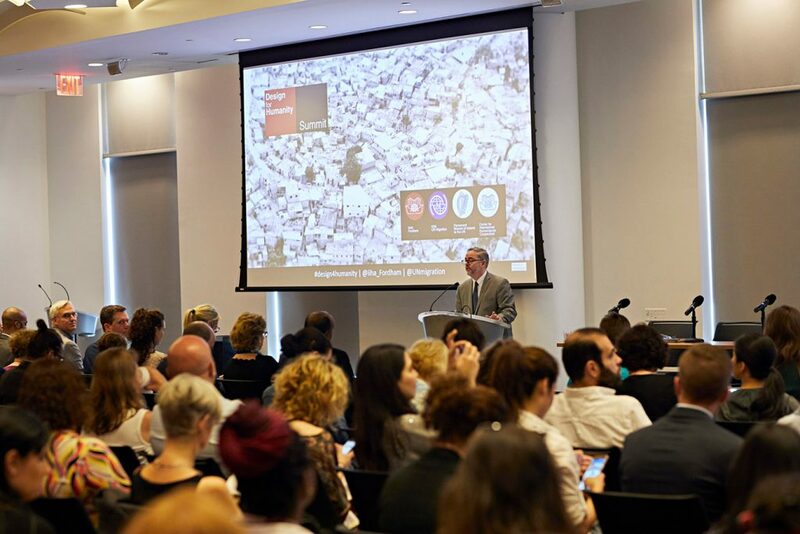 Urban planners and architects came together with academics and humanitarian aid professionals on June 22 at Fordham’s Lincoln Center campus for the Institute of International Humanitarian Affair’s (IIHA) first-ever Design for Humanity Summit. The summit, a partnership between the IIHA and the International Organization for Migration, explored how the intersection between design and humanitarian action can compel a more dignified, inclusive, and sustainable humanitarian response. More than 40 presenters from the design, humanitarian, and academic communities, as well as the private sector, presented at panels or breakout sessions. An estimated 300 participants, from as far away as Europe and Asia, took part in the conference. 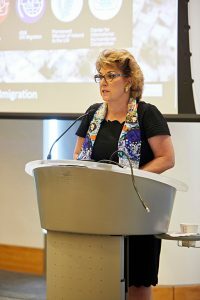 Ambassador Geraldine Byrne Nason, Permanent Representative of Ireland to the United Nations, delivered the welcoming remarks. “Design for humanity is one of five key research areas for the Institute, and we believe it will have an impact on current thinking and practices of the humanitarian sector,” said IIHA Executive Director Brendan Cahill in his opening remarks. In his keynote session, Randy Fiser, CEO of the American Society of Interior Designers, kicked off the morning with a call to explore potential partnerships and identity gaps. To give a sense of how such partnerships between design, community, and government can work, he pointed to Regent Park, a 69-acre neighborhood in Toronto that is currently being redeveloped. 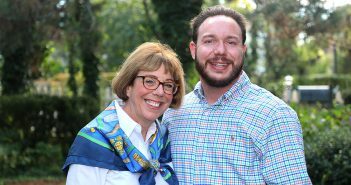 “As we know, when redevelopment takes place in neighborhoods, there is an opportunity to push out communities that were there to begin with and to displace them,” he said. “Regent Park took a very critical look at how they could not only empower and improve the lives of the people there and add value, but also incorporate 25,000 Syrian refugees into the community,” he said. 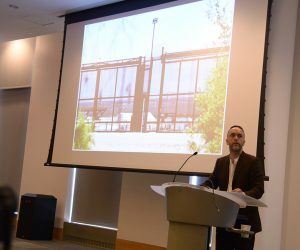 Sustainability, health, and wellness, and resiliency should always be key dimensions of any design, he said. There are also opportunities to learn from failures, such as the Superdome, which became a shelter in the wake of Hurricane Katrina. “We knew New Orleans was susceptible to hurricanes. We knew that people would shelter in the Superdome at some point. And yet it wasn’t designed in a way to handle the volume of people that were there. We didn’t prepare, and so what happened was another cataclysmic event,” he said. Sean Anderson implored attendees to not repeat mistakes of the past. His sentiment was echoed in the day’s first panel, “From Public Interest Design to Humanitarian Design: How Design Compels an Inclusive Humanitarian Response.” Sean Anderson, associate curator in the Department of Architecture and Design at the Museum of Modern Art, began by sharing pictures of squalid living facilities for refugees that Australia had established on Manus Island in Papua New Guinea and in the nation of Nauru in Micronesia, and ended with images of tents in Southern Texas that currently house refugees who have crossed over from Mexico. “This is not architecture, and this is not design, yet it is, and there are people who are responsible for building, maintaining and preserving these systems that are happening right now on our southern border,” he said, imploring everyone to oppose them. Another panelist, Carmen Mendoza Arroyo, Ph.D., made an impassioned plea for architects to resist the temptation to work with those who put up tent cities for migrants. It benefits no one, it creates ghettos, and it perpetuates “ unacceptable policies,” she said. Sergio Palleroni said solutions exist, so long as the will can be found to make them happen. Arroyo, who is director and master of international cooperation sustainable emergency architecture at the Universrstat Internacional de Catalunya School of Architecture, suggested instead efforts to resettle refugees and migrants in cities. In response to the influx of refugees crossing the Mediterranean Sea, Barcelona is attempting to do rehabilitate abandoned buildings to house them. 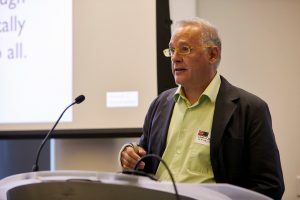 Sergio Palleroni, professor and director of the Center for Public Interest Design at Portland State University, showed off the Partners On Dwelling (POD) initiative that the city of Portland, Oregon has undertaken to tackle homelessness. Micro houses measuring just 225 square feet have been assembled for $2,600 each and clustered together in groups of a dozen or so on formerly abandoned land. The three clusters, or “villages,” that they have created have been invaluable tools for helping people escape homelessness. 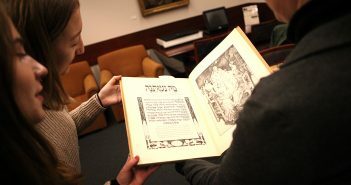 Palleroni noted that in the past, he has sent his students to study abroad to get a better sense of the world outside the United States’ borders. But extreme poverty and hopelessness is here as well. “To me, the most difficult thing that I see [globally]is a kind of sense that people are losing faith in institutions and political processes that we have,” he said. In his remarks at the summitt, IIHA executive director Brendan Cahill also anounced the launch of the Design for Humanity Initiative.